The two B. napus cultivars in this five-site trial were quicker to mature and yielded more than the B. juncea cultivars. Therefore, B. napus may be better than B. juncea for short growing season areas. 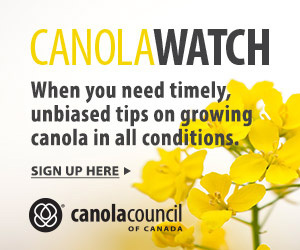 Yantai Gan with Agriculture and Agri-Food Canada (AAFC) led the three-year study to determine the yield capacity of Brassica juncea canola in comparison with B. napus canola in various sites. The study also examined the suitability and feasibility of straight-combining B. juncea canola and B. napus canola by quantifying seed and pod losses during plant maturity. Field trials were conducted over 11 siteyears in Western Canada at Melfort, SK, Indian Head, SK, Scott, SK, Swift Current, SK and Lethbridge, AB (Table 1). Seven Brassica varieties were compared at each location, including: B. juncea hybrid (201045J10), three B. juncea varieties (8571, 8570 and a genetic line), a Roundup Ready B. napus canola (46P50), a Liberty Link B. napus canola (5440), and B. juncea condiment mustard (Cutlass). All plots were straight combined and seed yields measured. Oriental mustard required the shortest growing period to reach maturity. The two B. napus cultivars took longer to reach maturity than oriental mustard, but they were quicker to mature than the B. juncea cultivars. B. juncea had the lowest amount of shattered seed among the oilseed species, with no significant differences in seed shattering among all four B. juncea cultivars. However, this was not enough to overcome the higher yield potential of B. napus canola when straight combining. 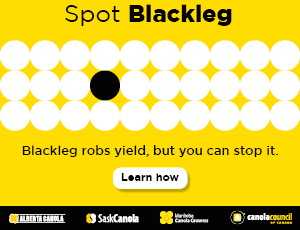 Overall, hybrid B. napus canola was still the best yielding crop at most sites and in most years, even in the drier areas of the average- and low-yielding sites. These are the sites with a p-value (presented in the very right column) smaller than 0.05, which means the differences in seed yield among the seven varieties were significant statistically. Yield values followed by different letters within a row mean significant difference between the varieties in seed yield.